Born in Camarthen in Wales the youngest son in a family of builders, carpenters, plumbers and electricians a career in the performing arts was not an obvious one for Steve but seeing his brother perform in a local amateur youth theatre production of Oliver! when he was 7 set him on a course for life. He says it seems like he always danced and choreographed and would watch the old Hollywood musicals and copy the dancing. But boys played rugby in Camarthen and Steve played at local club level for Carmarthen Athletic Club, where his father was Chairman for some years, and also had trials and got accepted into the County Team whilst also dancing every week at the Camarthen Youth Theatre. It was an odd combination, rugby and dance, but the love of sport prevented him from being bullied or singled out as dancer because he could hold his own on the rugby pitch. At sixteen Steve got accepted into the National Youth Theatre of Wales and his talent was finally noticed and he found someone who believed in him. After training at Middlesex Polytechnic Steve has had a huge career as an actor, a dancer, director and a choreographer spanning 25 years. 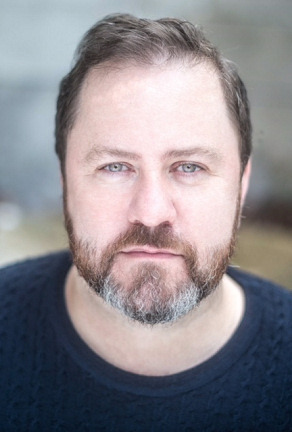 West End credits include Mr Braithwaite in the original company of Billy Elliot, Nicely Nicely Johnson in Guys and Dolls, George in My Fair Lady and Samuel in The Pirates of Penzance. He is also known to children as Mr Whoops in the Bafta nominated BBC's Grandpa in my Pocket. Steve has also found time to become the Artistic Director of the Carmarthen Youth Opera so his career has come full circle.